North Carolina FC announced Monday that it will host the international friendly between the US and Paraguay on Tuesday, March 27. The game will take place at Sahlen's Stadium at WakeMed Soccer Park and is scheduled to kickoff at 7 p.m. It will be the United States' third match since failing to qualify for the 2018 World Cup in Russia. The USMNT scored a 1-1 draw at Portugal in November and a 0-0 tie in Carson, Calif., against Bosnia and Herzegovina on Jan. 28. 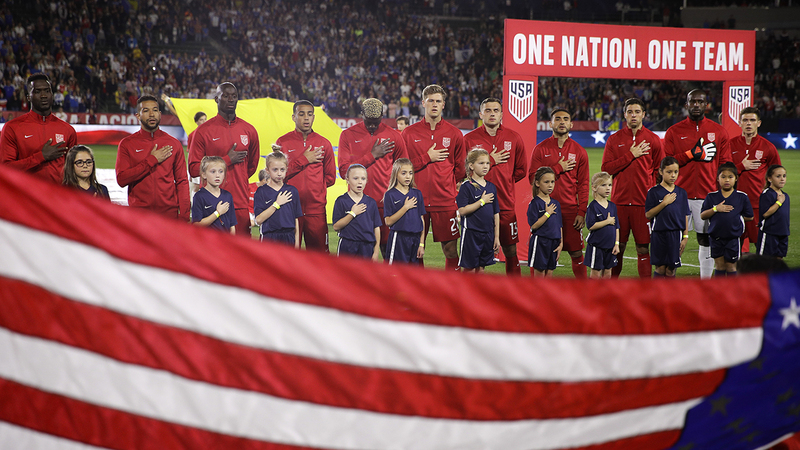 "North Carolina Football Club, in coordination with the Town of Cary, is excited to host the U.S. Men's National Team vs. Paraguay game here at Sahlen's Stadium," said President and General Manager Curt Johnson. "The last time the National Team was in Cary was seven years ago as they prepared for the Gold Cup and we look forward to having them back in the area after such a long time. We expect this match to sell out quickly and we encourage our fans to secure their tickets early." The US has only played in Cary once, a 1-1 tie with Jamaica on April, 11, 2006. The US has held several training camps in the Triangle, however. This will be the eighth meeting between the US and Paraguay dating to 1930. The matchups have been even, with each team winning three times and there have been two draws. Most recently the teams met in group stage of the Copa America Centenario in 2016, with the U.S. edging Paraguay 1-0 behind a Clint Dempsey goal. "The North Carolina soccer community has always offered great support to our National Teams," said US head coach Dave Sarachan. "I have great memories of Cary as the springboard for our quarterfinal run at the 2002 FIFA World Cup and look forward to returning for our match against Paraguay." NCFC season ticket members as well as 12 and 18 voucher pack flex members who purchase their season packs by Friday, February 16, will get access to an exclusive presale which begins February 21 at 10 a.m.
Tickets will go on sale to the general public February 23, at 10 a.m. through ussoccer.com and by phone at (800) 745-3000. Individual ticket purchases will be limited to six tickets per household and will not be sold at the stadium ticket office except on the day of the event, if any remain.